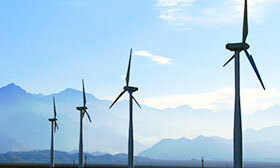 PZT-4 series material is medium power, transmitting material, has PZT-41, PZT-42, PZT-43 types. PZT-4 piezo ceramics have widely used in medical ultrasonic transducers, transmitting probes, sensors, medium and smaller ultrasonic transducers, underwater sound transducers, etc. The wide ranges of applications reflect the powerful functionality of P4 material piezo ceramics. PZT-4 piezo ceramics of us are high quality. It has good performance and can work properly in harsh conditions. For more information about our P4 piezo ceramics, you can refer to the bottom details of product, can also call us for help. We are pleased to be able to serve each customer.